 Fish4Dogs - It's what dogs have been waiting for! With fish providing a high quality, easily digestible protein that is naturally rich in marine sourced Omega 3, our range of foods provide a delicious and healthy diet for dogs of all shapes, sizes and ages. Fish4Dogs Complete foods all have high fish content; are all grain free and contain absolutely no meat or poultry. The original Fish4Dogs Dry Complete Food; simple, wholesome, grain free, Fish Potato and Pea recipes. Available in Puppy, Adult and Toy Breed. Finest Complete Wet is now also available in Mackerel and Herring flavours. Our Superior range contain all the goodness of fish but are enhanced with select marine nutritional supplements - Green Lipped Mussels; Norwegian Kelp and Spirulina. Our Sea Jerky treats are delicious low calorie treats made from nothing from but baked fish skins. If that wasn’t enough these natural healthy treats have a rough texture to help remove tartar from teeth. 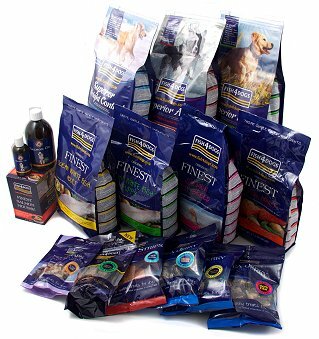 As well as our popular Sea Jerky Dog Treats, we have a selection of delicious and healthy fishy treats for you to pamper your dogs with. From dog biscuits, sea wraps, Calamari and training treats; we offer several different pack sizes for your pet. Luxury moist treat for dogs, available in Salmon or Trout flavours. With a light airy texture this can be enjoyed on its own or as a topping for dried food. Hands off you dogs this one’s for us cats! 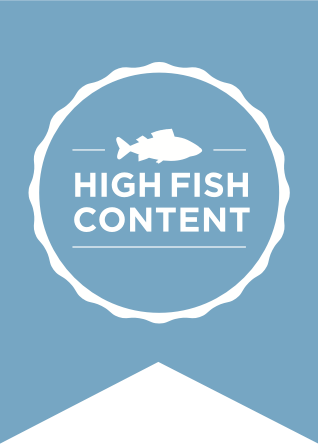 The Fish4Cats range contains 65% fish content – including 22% fresh fish.